In the rush to commemorate anniversaries and the forgotten days of our youth, it seems that everything and anything is worthy of recall and acknowledgement. Twenty years on from 1994, there are a range of moments that people can remember as if they took place yesterday. Roberto Baggio’s penalty kick may still be in orbit while Loaded magazine has long since bitten the dust but one thing stands out bigger and stronger than the rest of the memories of the years combined. 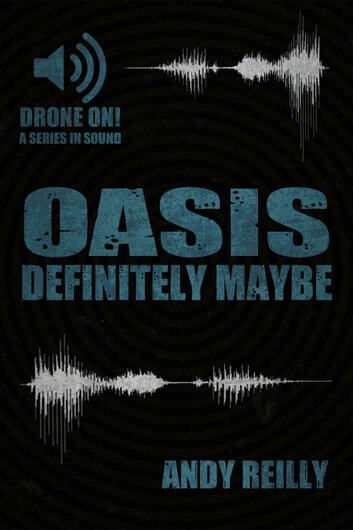 1994 was the year Oasis burst into public view and their debut album ‘Definitely Maybe’ is still lauded as one of the greatest debut albums, and indeed guitar albums, of all time. The stories of the battling brothers from Burnage in Manchester may have grabbed the headlines but it was the songs and tunes that grabbed the hearts and minds of the fans who followed on behind the Gallaghers and the rest of the group. Andy Reilly was just one the millions who were swept up in the crescendo of Oasis becoming the biggest band in Britain. This book is the story of where we were at the start of the ride that would take on us further ups and downs either side of the millennium. The Oasis story was a long one, and one that may not have reached its natural conclusion, but 1994 was the year that it all started coming together as they grabbed hold of new followers on a daily basis. 1993 saw unemployment figures in the UK crash through the 3 million barrier and many were of the opinion that it wasn’t worth the aggravation to find a job when there was nothing worth working for. The UK chart music scene was as soul-destroying as the job market. The book looks at how Oasis found themselves in the right place at the right time, exactly who they were railing against, and what the band meant to their adoring public. In the story of Oasis, 1994 deserves to be told in its own right.